Hockey players are pretty simple when it comes to what they want most of the time. Ask any serious player what he would like out of the game and the answer is almost always some version of, "I just want to play at the highest level possible.". Simple answer and a simple goal. For some players their highest level may be the NHL, for others it may be ACHA D-3. For many it will lie in between or below those levels. The path to those levels almost always requires playing junior hockey. For many parents and players junior hockey can become a confusing proposition. Tenders, draft picks, open camps, invite camps, combines, showcases and trying to figure out what everyone else around you is doing and why. Lets say that sixteen year old "Johnny" attends an open camp for a Tier I team. Johnny does well, scores a few goals and gets a few assists. He is in top 10 in scoring in the camp, but "Johnny" gets cut. The player and parents don’t understand how this can happen. "Johnny" leaves camp without a one on one with coaches and heads to a Tier II Camp. "Johnny" gets to his Tier II camp and he just lights it up. He makes the all star game and the coach wants to meet with him. Coach says he likes "Johnny", but that he is just not quite ready. Coach give him some things to work on and says go play Midget or Tier III and I will look to call you up during the year to see where you’re at in development. 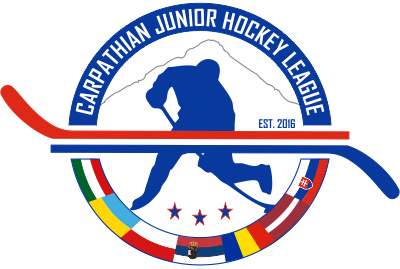 "Johnny" leaves camp and goes and signs with a Tier III team. Tier III coach says he will promote him up to higher levels, he will send him up if any Tier II team calls for him, don’t worry about a thing "Johnny" we are here to develop you, to move you on. "Johnny" and his parents now feel great. They have a team, they know what he has to work on, and they have a coach who will work with them to help achieve their goals. All "Johnny" has to do now is work hard and compete. "Johnny", by the first of December is putting up better than a point a night, he is one of the teams best players. He has put on 10 pounds based on better diet and gym activity. The Tier II team calls the Tier III team for the call up. This is where the relationship between Tier II and Tier III becomes very complicated. USA Hockey has standard transfer fees that regulate compensation between USAH and Hockey Canada. Those payments range from $750 per player to $5000 per player depending on what level programing the player is transferring to and from. The money is all spelled out. Teams can go lower if that is negotiated, but in general the structure is there and everyone follows it. The problem in the United States as it related to Tier III and any other higher level league is a simple one to identify but hard to solve. Players from Tier III are simply not being allowed to move up many times when a higher level team calls them up. Why and how can this be happening? The "why" is simple. 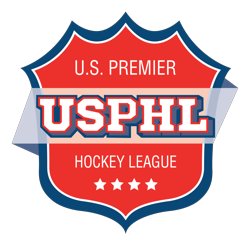 There is no rule in place under USA Hockey or AAU that says that a Tier III team must allow a player to be called up to a higher level team when the player receives the call. This is a rule that must be made in the future. Tier III teams can not be allowed to continue to deny players the opportunity to play at a higher level. Tier III teams should not be compensated by higher level teams because they have already been compensated by the player financially. Conversely, Tier II teams should not be allowed to trade a player to Tier III unless the Tier II team is willing to pay the tuition for the player being traded down. If the Tier II team is unwilling to pay that tuition, then the player should be released. A Tier I and Tier II waiver wire system needs to be developed in order to allow players an opportunity to stay in a "free to play" system. Another possible solution is for a Compensation Chart to be developed and become mandatory throughout all leagues. That compensation chart should be published. This compensation chart and the "call up" rules should become part of the Player Bill of Rights. Far too often these days Tier III teams are refusing to send players up to higher levels unless they are compensated with a player and or cash. If a player has paid his full tuition for the year, and he receives an opportunity from a Tier II team, that player should be free to go shouldn’t he? He has completed his financial obligation to the team, within the contract it states that payment is not a guarantee of playing time, shouldnt that non guarantee go both ways? Thats not to say that the Tier III team should not retain the players rights should the player be released later. Why do Tier III teams act this way? Ego. Many Tier III coaches think they are just as good at developing players and promoting players as Tier II or Tier I coaches. Many Tier III team coaches are also in it to win and forget that Tier III is about development of players for the next level. They forget the promises they make at the start of the year if they see a potential championship at the end of the year. There should also be a fine system put in place for Tier III coaches that are caught denying a player a call up opportunity. This cant be a $50 fine either, in needs to be substantial, $5000 per occurance. The fines should be paid by the coach and not the team owner, and they should be paid directly to the players parents that were denied the call up. They player should then automatically receive his release and become a free agent. The Tier III team should also be protected though. Some players may refuse a call up. In this case, the refusal must be documented and signed off on. Some players may not want to move up right away for a variety of reasons, school, living at home, or simply wanting to stay with his current team. This does happen once in a while. We all know Tier III is a business. We all accept it for what it is. The problem is a lack of oversight, a lack of accountability to the players. The call ups between Tier II and Tier I a less complicated as tuition payments are not involved and do not effect the bottom line. A system should be put in place to steamline that process as well. If teams are going to talk about development and promotion, there needs to be a process that will allow it to happen. It is about the players and their development isn’t it?